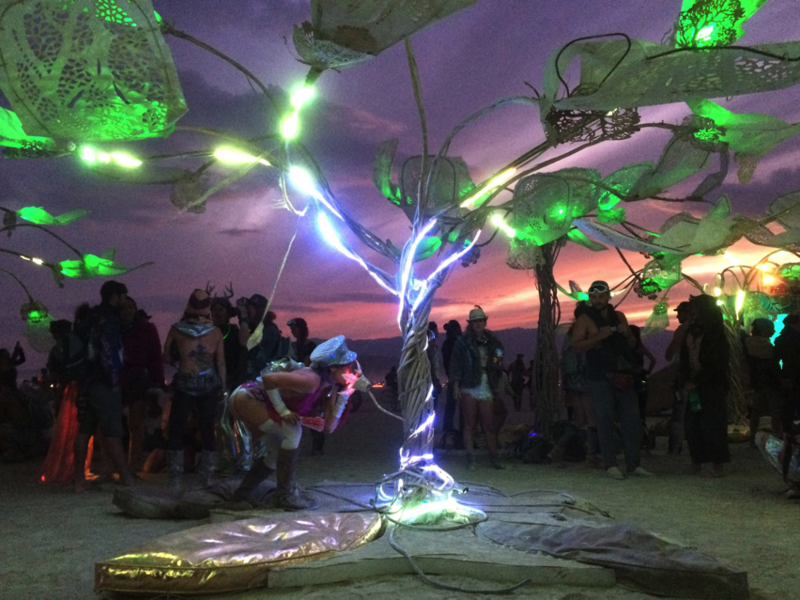 Building Grove — interactive trees that come alive to your breath at Burning Man 2016 #ArtTuesday « Adafruit Industries – Makers, hackers, artists, designers and engineers! 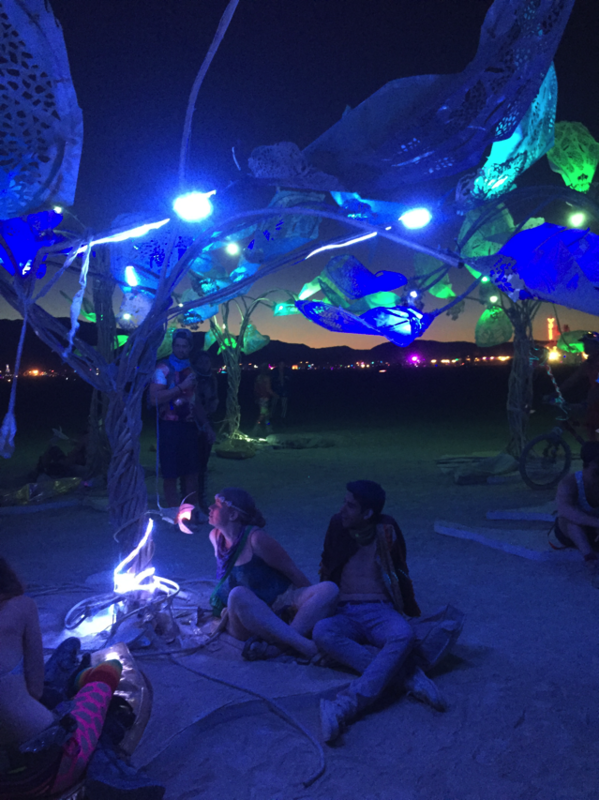 Thanks to Samuel from Of Brooklyn for writing in to share this awesome Burning Man installation! Check out all the details of the build here. Grove is a set of 10 interactive biofeedback sculptures, a conversation between humans and trees. Each tree is made of steel tubes, thousands of LEDs, and custom breathing sensors. Grove is a 2016 honorarium installation at Burning Man and is the second installation made by the group that made Pulse & Bloom in 2014. The core team is ten people: Saba Ghole, Shilo Shiv Suleman, Severin Smith, Steve Lyon, Hunter Scott, David Wang, Francis Coelho, Naeemeh Alavi, Luke Iseman, and myself, Samuel Clay. Grove was conceptualized by the artist Shilo Shiv Suleman as part of her larger series exploring nature, intimacy and technology called Beloved. Here’s how Grove works: you sit down at the base of a tree and a flower opens up in front of you as it senses your presence. As you breathe into a pink flower lit from inside, the tree fills up with your breath, rising white streams overtaking multiple slowly descending green lines. As you breathe, the tree shimmers with light as it becomes a nighttime desert oasis. This post offers details on how this installation was built, from the custom circuit boards to the blooming flower and breathing sensors. You can access the complete source for Grove on GitHub.